Meet our Idaho FRC Teams!!! It is the mission of the Ammoknights to provide a fun and uplifting environment for members to learn and improve their scientific and technical skills. While working together to gain a head start for life after high school, we will better ourselves and learn to exemplify gracious professionalism. In doing so we will become a team that is efficient, cooperative and well rounded. Haywire Robotics, Team 1569, strives to accomplish FIRST®‘s mission in inspiring young people to be science and technology leaders while fostering well-rounded individuals with self-confidence, communication and leadership skills . An important factor with our team is that we allow all students the opportunity to generate ideas, make decisions, and actively involve themselves in team projects. Winning for our team has little to do with awards and medals and more do with the advancement of students into successful people. Haywire Robotics Team 1569 was started for the 2005 season as one of the first two FIRST® Robotics’ teams in Idaho. 4H LiveWire Robotics is a three time Chairman’s winning community based FRC team affiliated with Idaho State University Robotics. Located in Pocatello, 4H LiveWire team members come from Pocatello’s three high schools as well as two area high schools (Blackfoot and Marsh Valley) and home school. In addition to building our robot each year, the 4H LiveWire team is dedicated to extensive community service and outreach. We strive to inspire the community and spread STEM education through community service and by offering robotics summer camps (in Pocatello and Blackfoot) and free technology classes to senior citizens. We have a broad Literacy Platform with four original robot storybooks as well as our robot shaped mobile Little Free Library-STEM Edition. Please visit our website at LiveWireRobotics.com or Facebook page: Facebook.com/LiveWireRobotics to view our many community activities and global endeavors. Team Tators is a member of the FIRST Robotics program and is made up by students, community sponsors and mentors. The team was founded in 2007 and has received sustaining sponsorship from the 1st year from the Micron Foundation and Hewlett Packard. 2016 Won Carson Division at World Championship and competed on the Einstein Field!!! Fall 2016 competed at Capital City Classic (CCC) and Won!!! V.E.R.N. has fifteen team members attending classes at ten different schools in four school districts plus several homeschooling teens from across the Treasure Valley! V.E.R.N. is excited to be the only Explorer Post and Explorer Club in the Ore-Ida Learning for Life/Boy Scouts of America Council. V.E.R.N. has AMAZING mentors including six FRC Alumni from four teams. V.E.R.N. is grateful for the gracious support from all of our sponsors especially Micron Foundation and Open Lab Idaho. Steampunk since Recycle Rush! TAKE THE EGG!!!! to showcase our robot and further spread the message of FIRST in the Magic Valley. The Homedale Trobots have hit the ground running in their first season as a FIRST Robotics team. The first of its kind to come out of Homedale High School, the Trobots are a rookie team from Homedale, Idaho. The team of 12 students and 2 teacher-mentors have made successfully building the robot their main priority this year. Team members have developed collaboration, problem-solving, and critical thinking throughout the build process. The Trobots are excited to have the opportunity to join the FIRST Robotics program which has allowed them to spread STEM education through a fun, hands-on approach. 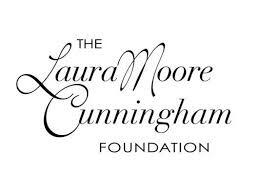 The Trobots would like to thank the Idaho Stem Action Center, Laura Moore Cunningham Foundation, and FIRST Inspires for their generous grants which provided them funding to form the team. They would also like to thank the other Idaho teams for their fantastic guidance and key support in our rookie season.